MAT Holdings' Ride Control LLC provides aftermarket shocks to the recreational vehicle market. These power sports applications include snow mobile racing and all-terrain vehicles. 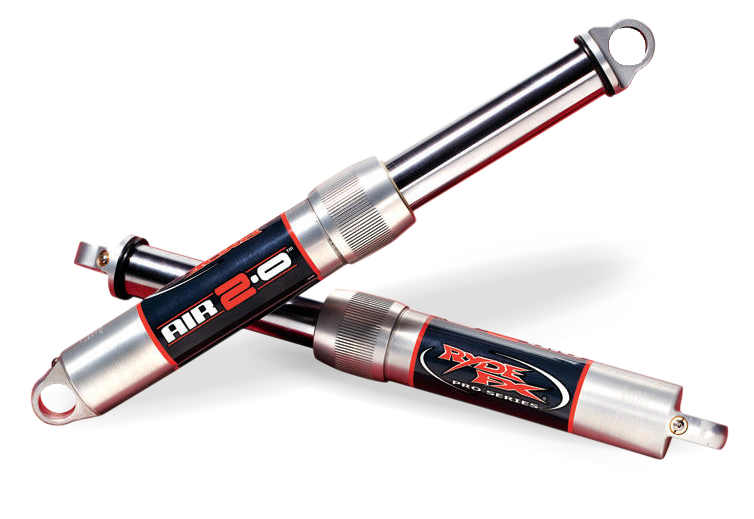 Ride Control's Gabriel® FX line of shocks are specifically designed for durability and a smoother ride under the taxing conditions of snow mobiling. The Solo line of shocks provides ATV's with 7 position compression adjustability based on the situation in a durable package. Copyright © 2019 MAT Holding, Inc. All rights reserved. The Bendix®, Bendix CQ®, CT-3®, Fleet MetLok®, TitaniuMetallic® and Stop by Bendix™ Trademarks are used under license from Garrett Transportation I Inc.
Garrett Transportation I Inc. makes no representations or warranties with respect to this product.